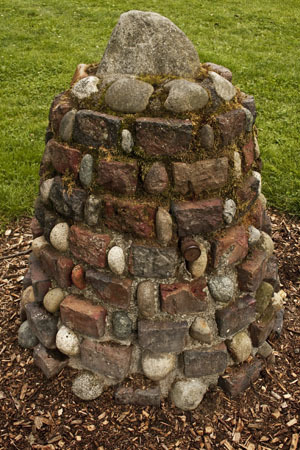 Titlow Beach is really part of the City of Tacoma, but it stands as a place with its own bit of history; named after Aaron Rosser Titlow, a prominent attorney in Pierce County and the Democratic Prosecuting Attorney for the County from 1897-1898. Not a native Washingtonian, he was born in Ohio in 1858 to Aaron and Sophia J (Casase) Titlow and arrived in Washington shortly before statehood was granted, Nov. 11, 1889. You may see Mr. Titlow’s portrait by following the Aaron R. Titlow link. A man of means, he decided that Washington needed a good resort on the shore of Puget Sound. To that end, he purchased 200 acres located at the far west end of 6th Avenue, in Tacoma, and built the luxury hotel which he named Hesperides, (nymphs who tend a blissful garden in a far western corner of the world in Greek mythology,) in honor of his young daughters, Lone, Marcella, Constance and S. Lucille. What the “S.” stood for I have yet to determine, however since Mrs. Titlow’s name was Stella, Stella is as good a guess as any. The original three and a half story building cost $50,000 to build, had 30 guest rooms, a formal dining room, billiard room, barber shop and a ladies parlor. It was constructed so that each room had its own balcony overlooking the picturesque Puget Sound. And state-of-the-art hot and cold running water; both fresh and salt water according to one source I read. Supplied with the finest china and silver, columns of Douglas Fir supporting beamed ceilings, the dining room was illuminated by twenty-two Tiffany lanterns and equipped with a brick fireplace at one end. Of course lodging was provided nearby for chauffeurs, although with somewhat fewer amenities I’m sure. 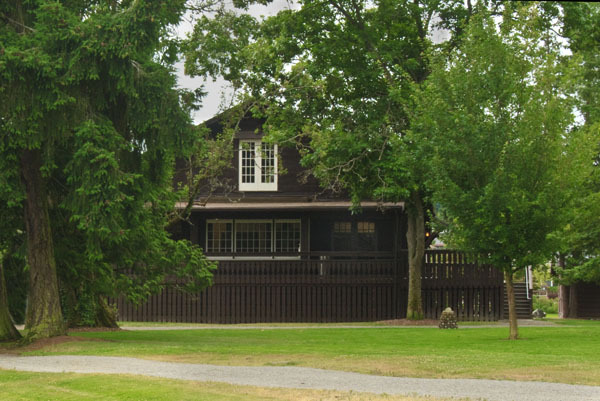 To provide the best food for his guests, Titlow added a farm to the property. Not only was the meat and produce fresh and local, he added ostriches for the entertainment of his guests. The grounds included a swimming lagoon, which was described as crystal clear. Apparently it was designed to fill with the high tide, then hold the water so that the sun could warm it for swimming. By 1938 the clarity was gone – but more of that later. By the 1920’s the luxury hotel business was waning; the hotel was used During WWI—1914-1918— to house troops. The Hesperides was closed by the time Mr. Titlow died January 6th of 1923.
auctioned off, but persistent Titlow Beach Improvement Club members protested the removal of the building. A compromise was reached; the size of the building was reduced to the current one and a half stories. The remaining building was converted to a dining room, kitchen and living quarters for the Parks Superintendent and his family. I must insert here a thanks to Melissa M. of the Parks Dept. for providing me corrected information. The original story we had heard was that the top stories were removed because the building was sinking. She shared information she had found that refuted this theory. The reduction was about money, not gravity. 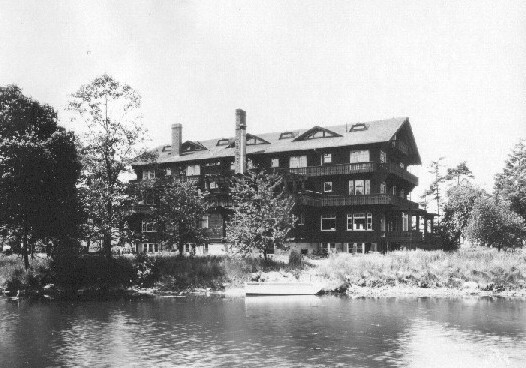 Carl Larson lived at the lodge with his wife Geneva and Daughter Betty, (who later became Mrs. Martin). Carl was the Superintendent in 1945 and held that position until his death in 1955. Geneva took over the position and held it until 1973. Betty grew up on the beach and in the park. 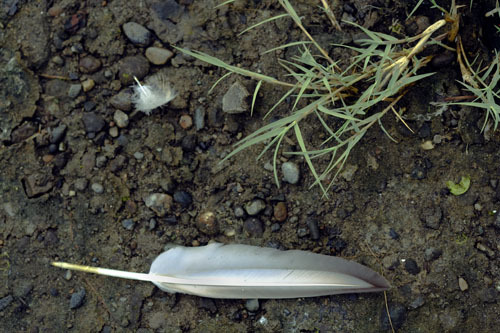 For another look at Titlow Beach, take a look at René Fabre’s – Rainmaker – blog, at Active Rain. There’s more to the Titlow Beach story—Mr. Titlow’s personal history, ferries, swimming pool, the Beach Tavern— but we’ll save it for another time. See more of my photography at Flickr.